The annual Gaming in Holland Conference & Expo is THE place to find out what is happening in the Dutch gaming market; and to meet with local and international executives, industry experts, and service providers. Conference visitors will be among the very first to hear details of the secondary legislation accompanying the remote gaming bill under consideration by the Dutch Senate. Policy officials from the Ministry of Security and Justice will discuss current regulatory proposals (tech standards, responsible gaming, etc. ), followed by a presentation of Gaming Authority CEO Marja Appelman on remote gaming licensing. 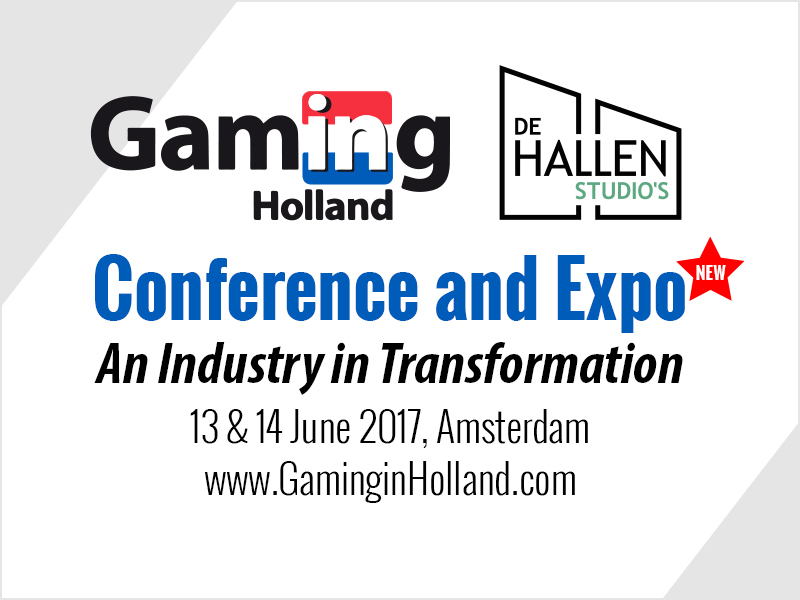 The Gaming in Holland Conference & Expo serves the entire gaming industry across all channels and product verticals and is of interest to the land-based, online, and lottery sectors. Representatives of various trade associations, including VAN, Speel Verantwoord, and the International Masters of Gaming Law, will both attend and contribute to the proceedings. This year’s conference will feature a free Expo. Exhibitors include Novomatic, Ezugi, CDDN, JC Decaux, NMi, Leaseweb, and Screen Impact. There will also be an Affiliate Zone, where Dutch affiliates and operators may meet in anticipation of the opening of the Dutch market. Following the example of both ICE and EiG, there will also be opportunities to meet up at the Microgaming Bar. The Expo is free to attend for qualified gaming industry professionals. Sign up for the Expo here. The Dutch casino market is currently undergoing a significant transition. State-owned Holland Casino is likely to be privatized in 2018. Hear all about the company’s vision for the future from Holland Casino CEO Erwin van Lambaart himself. Stay informed of the latest facts & figures. According to H2 Gambling Capital, the Dutch iGaming market currently generates an estimated €250m in GGR annually. Around one million players wager online. Forty to fifty operators are expected to eventually enter the Dutch regulated online market. If you work for an operator in Legal, Compliance or Business Development, this event is a must. The Gaming in Holland Conference & Expo is an ideal event for networking and connecting to local knowledge. With virtually all local and international Netherlands-focused industry professionals in one place, there will be almost endless networking opportunities during coffee breaks, lunches, as well as the official conference dinner. Check out our full conference agenda and book your place before it is too late!